Did you know Shea Butter is also known as women’s gold? Home / ingredients / Did you know Shea Butter is also known as women’s gold? 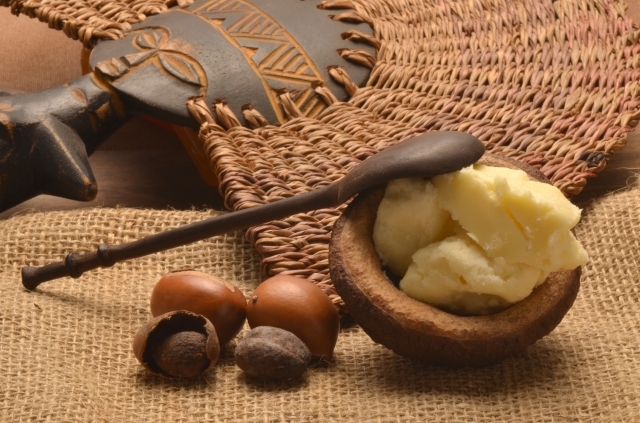 Shea Butter comes from the nut of karité trees that grow in what is called the Sahel region in Africa extending from West to East Africa, from Guinea and Senegal to Uganda and South Sudan. This wonderful butter is harvested by thousands of women all over this region. It is called women’s gold not only for the golden color of the butter but that it also provides employment and income. The women gather the nuts, crush them to extract the butter which is then boiled, cleaned, packaged and sold at local markets. You can view a video made by Bead for Life showing how it is gathered and comes to the market here . Women have gathered into cooperatives to process the shea butter. These producers have been asking for fair trade prices for their labors. We hope this continues as Fair Trade assures that these women are empowered to raise their standard of living for themselves and their families. Shea Butter is a wonderful ingredient and is part of every soap formula and also is now in every lotion bar we make. Shea Butter is very moisturizing. We use unrefined Shea which is slightly golden in color and has a slight nutty scent. It melts on contact with the skin. I love using it in our soaps and want to add some whipped shea butter to our lotion line. Have you tried any Shea Butter products? How did you like them? What is so good about Essential Oils?